Professor Vermeer has been a first grade teacher, a preschool teacher/director, an early childhood center director, and an Early Childhood Iowa local director. Currently she is an early childhood consultant for the Northwest Area Education Agency and is earning a doctorate in curriculum and instruction. Vermeer has experience providing early childhood curriculum and assessment professional development for preschool teachers and spends a great deal of time in preschool classrooms, working with teachers and helping them implement research-based curriculum and Iowa's required child assessment system. 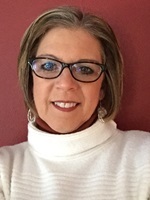 She is on the Iowa Early Childhood Leadership Team and presents at various state National Association for the Education of Young Children (NAEYC) conferences.